Welcome home to your new apartment at Encore at the Park. Nestled among the towering pine trees of Durham, NC, a calm and quiet community provides the home you’ve been searching for. Pet-friendly floor plans flawlessly combine upgraded features with classic details to create a warm and welcoming atmosphere. State-of-the-art amenities, such as a resort-style swimming pool , offer indoor and outdoor entertainment within steps of your front door. Encore at the Park’s comfortable atmosphere, in conjunction with a premier location near Research Triangle Park, perfectly demonstrate why this community is the ideal place to call home. Choose from Encore at the Park’s one, two and three bedroom layouts for a home that fits your needs. Upgraded appliances, spacious closets and private patios or sunrooms welcome you home from the moment you enter. Schedule a tour of the community for a walkthrough of these pet-friendly homes. From the amenity-packed clubhouse to the beautifully landscaped grounds, Encore at the Park invites you to tour the pet-friendly community. Discover your next home when you preview the spacious floor plans and fun-filled amenities available throughout the community. Call Encore at the Park today to schedule your tour. 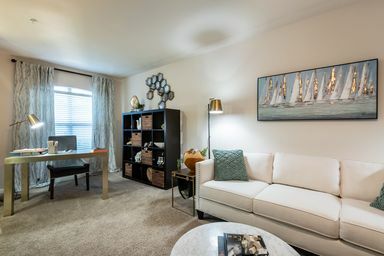 Boasting an ideal location, Encore at the Park is located near Duke University and RTP. With easy access to Apex Highway and the Durham Freeway, residents are within minutes of premium shops, restaurants and nightlife. Learn more information about your new neighborhood when you speak with a leasing agent.